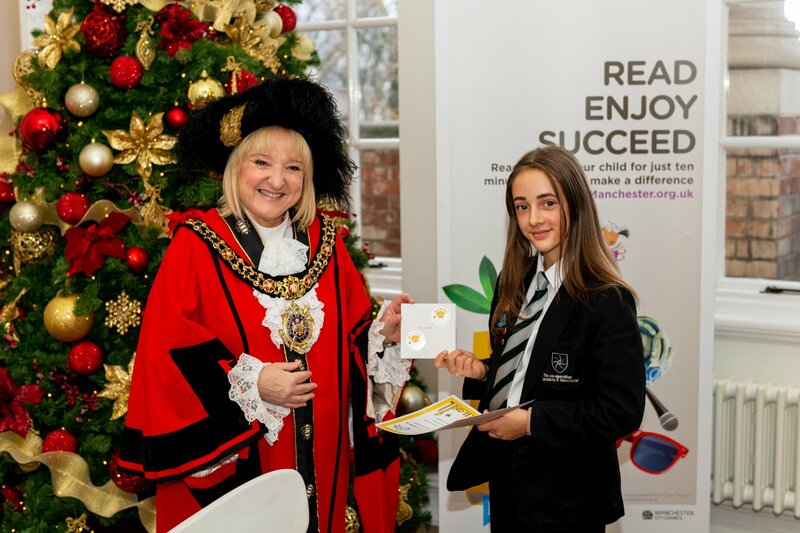 We are delighted to unveil the winners of the ‘Bee a Reader’ creative writing competition from the Read Manchester campaign in partnership with Wild in Art’s Bee in the City. Read Manchester teamed up with Bee in the City this summer to challenge children in Manchester aged between 7 and 16 to write up to 500 words on the topic of “a day in the life of a Manchester bee”, as part of Bee in the City’s wider learning programme. After receiving more than 300 entries, representatives from the National Literacy Trust, Manchester City Council and Wild in Art selected two overall winning entrants and four runners-up. The runners-up, Ted Hayes, Aaminah Arif, Milan Morris-Gibson and Riley Bulcock. The Lord Mayor of Manchester, Councillor June Hitchen, met with the creative writing competition winners last week for a prize-giving presentation in the Lord Mayor’s rooms, followed by a tour of Central Library. 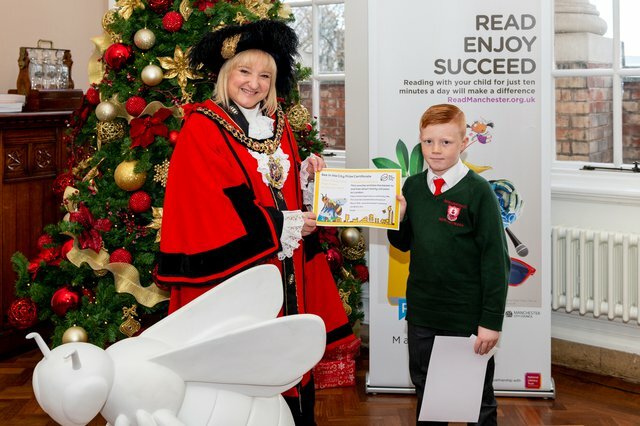 The Bee in the City learning programme included the Read Manchester ‘Bee a Reader’ challenge, which encouraged children and families to take part in a series of literacy activities, a series of events at Manchester libraries, and the creative writing competition. Using the buzz around the bee sculptures that appeared across the city, the initiative inspired children and families to share stories and help avoid the summer learning loss that many pupils experience over the summer holidays.